These two pairs glow brightly in the dark after being exposed to (not much) light! • Glow in the dark with green/blue gems and blue glitter. • Glow in the dark with yellow/purple gems and gold glitter. Gems are black light reactive (I know, I tested). 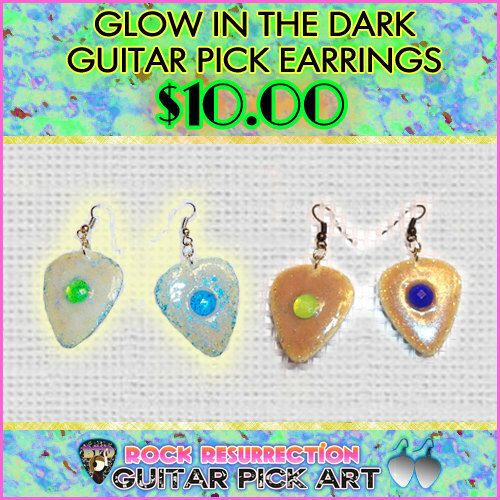 These new pairs are shiny, glittery, glowy and black light reactive!